With my car stuck in snow I’ve spent the past few days working from home. I had been having a craving for breaded chicken earlier in the week and now had the chance to make some as I wasn’t coming home right around dinner time, as I usually do. 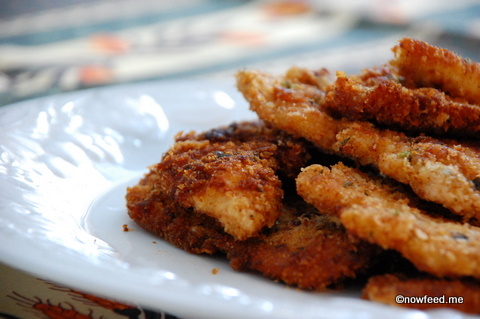 It’s easy to make but takes a little time to fry the chicken. I had two or three pounds of chicken breast which I sliced pretty thin, then I made a little assembly line with the chicken in one plate, 3 scrambled eggs in a bowl next to it, a plate with italian-style bread crunbs to which I added salt, pepper, chopped parsley and grated parmesan, and finally a frying pan with olive oil on medium to medium-high (6 on my stove). I fried the chicken for 2 to 3 minutes per side until golden brown then transferred them to a plate lined with two sheets of paper towel and repeated the process until I was done, adding more oil to the pan as needed. It was delicious. There were enough leftovers to make sandwiches for lunch the next day which was a bonus. 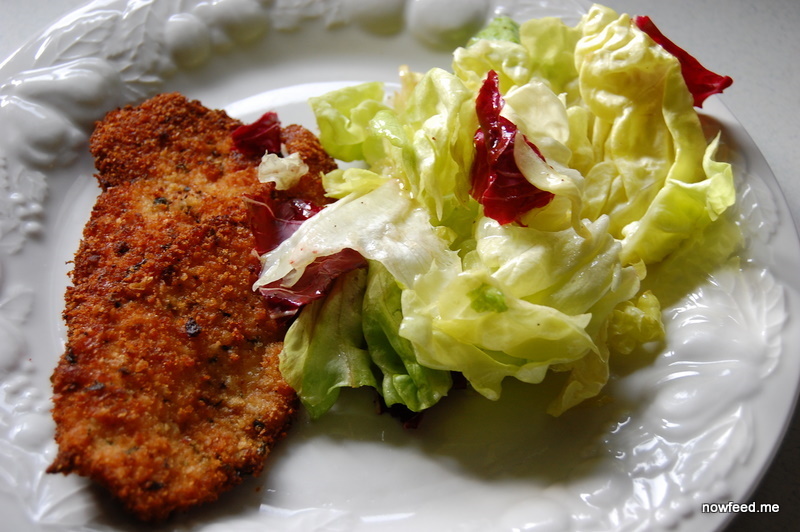 This entry was posted in Food, Recipes and tagged breaded, chicken, Italian. Bookmark the permalink.